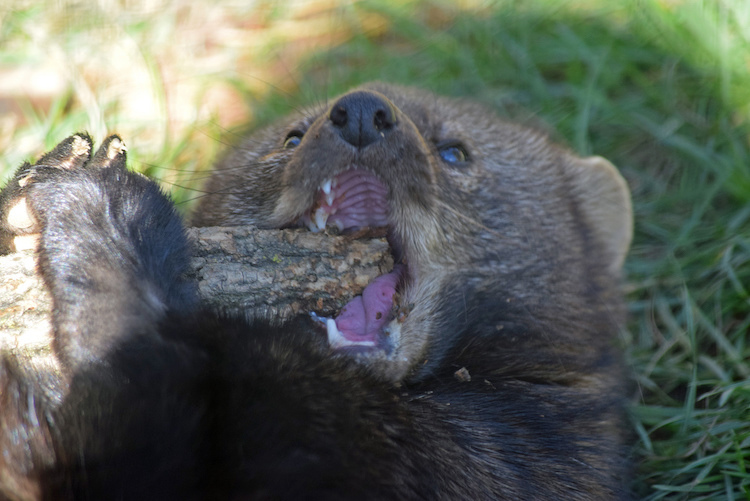 Until recently, I attributed the chilling screams that came out of the woods to fishers, or, as they’re often inaccurately called, “fisher cats.” It was a given—a truthful wives’ tale, a fun tidbit about a neighborhood critter. Fishers scream. You’ll never see them do it, but they do. I first learned of the fisher’s scream during elementary school, sitting in my friend’s treehouse. He told me a fisher was responsible for the disappearance of a classmate’s cat, and that fishers shriek like banshees. Those vivid notions stuck. We imagined the gory details of the incident—which part of the cat would the fisher eat first?—and took care to avoid the hammock hanging in the treehouse’s corner, which we’d determined was full of earwigs. They would crawl into our ears, into the folds of our brains if we weren’t careful. We were mistaken about more than one thing that day. From then on, whenever I heard a fisher scream—what I thought was a fisher scream—I’d think of our friend’s cat meeting his untimely end. Whether or not the story was merely schoolyard lore didn’t matter. With the self-assuredness often possessed by those who are incorrect, I propagated the misconception. “Fishers shriek like banshees.” I’ve captured plenty of fishers on my trail camera—a hobby I’ve picked up to get a better idea of what’s in the woods—and have seen them in the flesh. Everything lined up nicely: I’d hear an eerie, gruesome cry, and later find nighttime photos of the likely culprit on my SIM card. In Walden, Thoreau writes about the relationship between science and people who spend much of their time in the woods. He lists hunters, fishermen, and the like. “We are most interested when science reports what those men already know practically or instinctively, for that alone is a true humanity, or account of human experience.” When science reports otherwise, when it refutes what was held to be true, it is tempting to cover our ears. Here I am, a few weeks later. I’ve come to accept that fishers probably don’t scream but am left wondering how myths like the fisher’s scream come to be. How can so many people—my friend, my neighbors, that woman in Vermont, me—be so wrong? And why do so many people call them fisher cats? I started with the easier of the two questions. Why fisher cats? Why even call them fishers? Defenders of Wildlife explains, “Fishers eat snowshoe hares, rabbits, rodents and birds, and are one of the few specialized predators of porcupines. Fishers are effective hunters, but are also known to eat insects, nuts, and berries when prey is not available.” Long story short, they aren’t piscivores—they don’t eat fish. But otters do, and fishers kind of look like otters. Maybe that’s it? 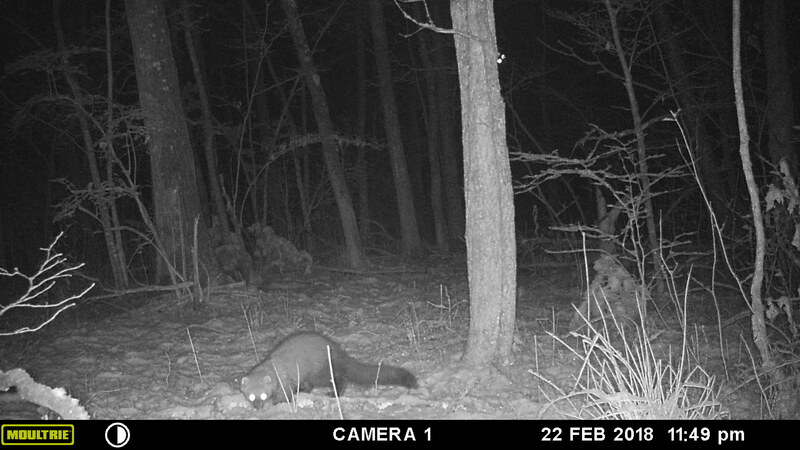 A more common explanation is fishers look like the European polecat. You might know the polecat as a ferret, but they were also called fitchet, fitch ferret, or fitchew. When American settlers first encountered the fisher, they used these names. Over time, it’s evolved to “fisher.” As for the cat part, a popular explanation is both fishers and cats climb trees. But maybe we should be wary of “popular explanations” when it comes to fishers. Regarding the scream, here is my hypothesis: since fishers are generally shy, yet we know they’re in our backyards, even in the Bronx, we seek evidence of their existence. Without visual encounters, we look for something else. An ambiguous, disembodied shriek fits the bill. On top of that, fishers just look like the type of creature that could produce a blood-curdling scream. Certain images of fishers—mouths agape, teeth bared—conjure up the sound I always assumed they made. The article features a particularly charged comments section. Some refute the fisher’s bad reputation. Others warn pet-owners they’ll be sorry for taking fishers, those “vicious killers” with their “dracula teeth,” so lightly. Another article, titled “The Fisher: Elusive, Fast and a Porcupine’s Worst Nightmare,” hosts a similar debate. It’s easy to find reiterations and rebuttals of the same rumors, over and over again. Fishers are built up to be harbingers of suburban doom—and don’t get me wrong, they’re fearsome and effective predators—but if you actually see one, you’ll see they’re pretty small, have a funky little trot, and don’t stick around for long. As I grapple with the demystification of the fisher, I’ve begun to realize there are bigger issues in play here. What impels me with the desire to know? Why worry about whether or not fishers scream—something quite inconsequential to our daily lives. 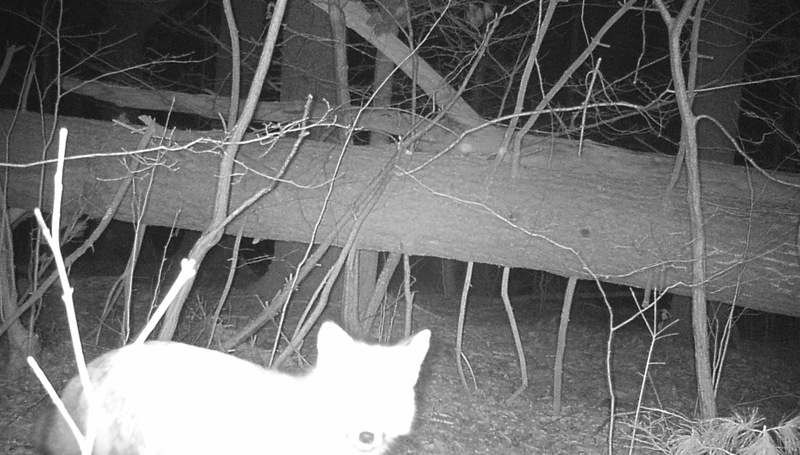 Why take it upon myself to bear secondhand witness, via motion sensing camera, to what occurs in the woods when I’m not there? There’s room for mystery in our backyards, but if I want to preserve any in mine, I am doing a rather poor job of it. Perhaps mystery isn’t the right word. The fisher’s scream was never really a mystery. It was something held to be true, “practically or instinctively known,” to return to Thoreau, despite no real evidence. A “true humanity.” Maybe the word “anomaly” is better. Perhaps we are driven by an innate, unshakable desire to know as much as we can. Curiosity killed the cat, the trite adage goes—and I apologize for continually referencing the killing of cats—but does it also kill the fun? 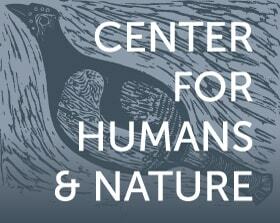 In the process of discovery, do we occasionally risk debunking our “true humanity”? Or maybe our yearning to know our animal neighbors is traceable to the same impulse that drives us to interact with our human ones. We want to forge relationships, to feel like part of the worlds of those we live alongside, to share our worlds with them. With animals, is this a misguided desire? Does it almost feel rude not to get to know the critters out behind the house? Do we feel slighted when this neighborliness is not reciprocated across species lines, as if our friendly gestures were snubbed? If we do, we shouldn’t. Squirrels do not hang out at our bird feeders to become our pals. They want birdseed. As with humans, there’s also the fear that we’ll eventually tire of animals the better we know them. How many deer does it take before a deer becomes just another deer? Is it childish to remain excited by deer when you see them regularly? Is it such a bad thing to be childish, in this case? Does there come a point when there’s nothing left to know, nothing left to be excited about? I looked to my bookshelf for answers. In conjunction with this, there are the pleasures of spontaneity—it combats the sense of looming staleness that results from knowing a place well. A fox passes through the yard. Snowfall on a tree branch twinkles with the sunlight and the breeze. A woodpecker sets to work outside the window. You know the yard, you know the branch, you know what’s out the window. All these knowns offer a familiar backdrop in a theater of relative unpredictability. John McPhee, in a piece for the New Yorker, expresses a related, unlikely desire. He writes, “While I flossed in the morning, looking north through an upstairs bathroom window, I hoped to see a bear come out of the trees. If this seems quixotic, it was.” There are plenty of bears in New Jersey, where McPhee’s home is—about 2,500, he explains—and “In recent years, bears have been spotted in every New Jersey county.” The odds of seeing one aren’t exactly high, but it certainly isn’t out of the question. (Spoiler: McPhee’s wife, Yolanda Whitman, eventually sees a bear from their living room.) The word “quixotic” is apt. Our most quixotic hopes keep things interesting. Since learning fishers don’t scream, my quixotic hope became to see this rumored phenomenon happen. I knew I’d never witness it but couldn’t stop hoping I would. I imagined looking up into a tree and spotting a fisher. That fisher would look at me and scream. The unlikelihood was the best part—that I’d see this dark, cagey, little predator slinking through the treetops, shrieking. Writing it down, it’s ridiculous. But if ridiculous hopes and asininity keep me curious, then I welcome both. This is not to say they are required to maintain curiosity—quite the opposite is true. It would be much better for me to focus on what’s actually there, to study the tree, for example, instead of imagining or hoping a fisher will be in it. It would be better to channel Wendell Berry: What is the tree’s name? How old might it be? How tall? To jump yet again to Walden, Thoreau explains how philosophers and poets approach nature “with expectation.” This limits what they see. They impose upon nature whatever expectations they hold, and likely leave with expectations unmet. To accommodate the unexpected—which is what we’re after, really—one must avoid this tendency. People who approach nature with no expectations find nature “not afraid to exhibit herself to them.” Yolanda Whitman comes to mind, sitting in her living room, free of ursine hopes. Whether the noises I’ve heard were fishers or foxes, I can’t confirm or deny. This, in its own way, is a win-win situation. So long as the issue is uncertain, it is, to steal Berry’s word again, “inexhaustible.” Logic says foxes; Thoreau’s “true humanity” says fishers. I could argue for both. 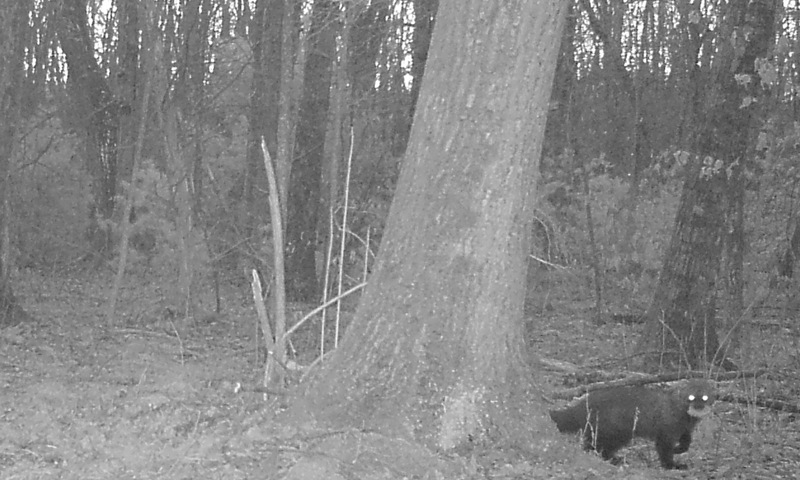 Just as often as a fisher turns up on my trail camera, so does a fox—sometimes barely perceptible, a blurred flash of a big tail bounding behind a tree, or a too-close closeup resulting in a washed out silhouette of big ears and a whiskery little snout. What I’ve come away with from all of this is something not exactly related to fishers, though fishers were the vehicle that got me here. The boundaries of my explorations are clearly demarcated by stone walls and “No Trespassing” signs. Yet my backyard—all of our backyards—will always offer something unexpected. Boundaries and physical limits do not limit inquiry, and anything, from the way a particular vine of poison ivy slithers up the trunk of a tree, to a shriek—fox or fisher—can be an invitation to those willing to accommodate the unexpected. James Freitas is a freelance writer from Massachusetts. When he's not reading or writing, he's probably outside with his dog.